One of the things I really took away from coursework in educational psychology is that students’ motivation to learn can be inhibited by all kinds of factors, such as their beliefs about intelligence (“I’m just not good at math” whereas what’s really true is “If I work hard I can figure this out”). 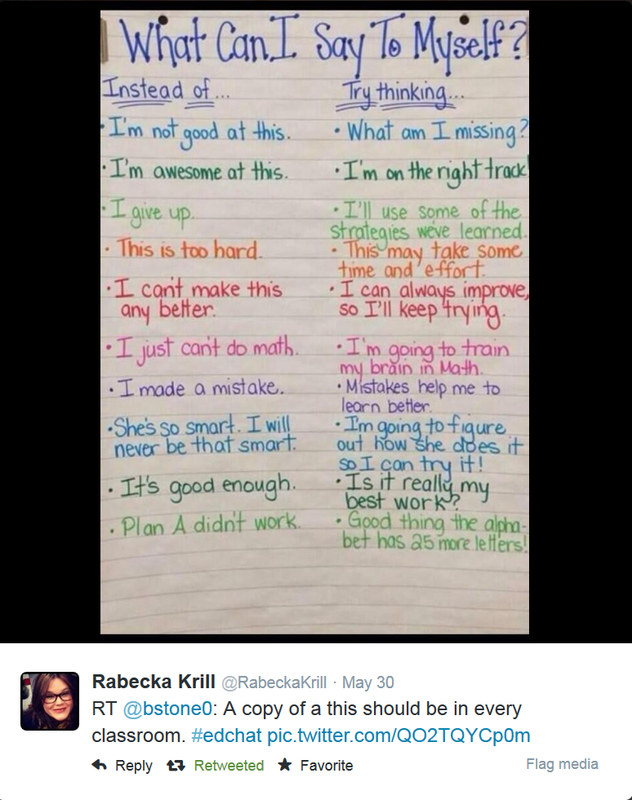 This chart that’s been going around Twitter offers some really great suggestions for changing the way students talk to themselves in ways that are not just in accordance with the research on the best conditions for learning, but will encourage them to be kinder to themselves, too. It strikes me that pretty much any of these things can be explicitly incorporated into information literacy instruction at the college level as a way to promote student success and realistic expectations about how to do research.